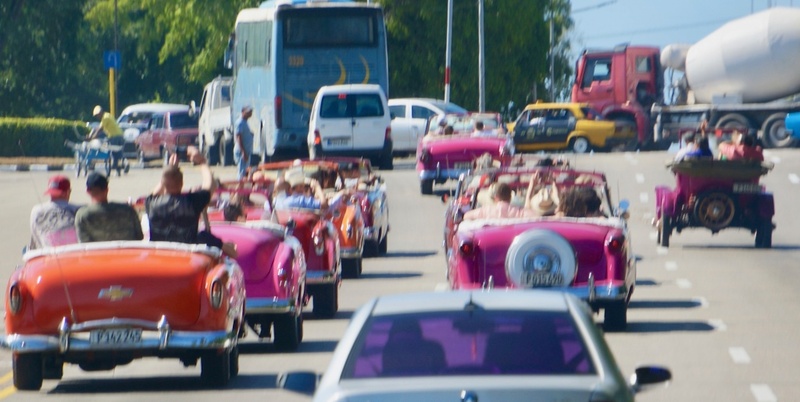 If you want to step back into the automobile past, you need to go to Cuba. 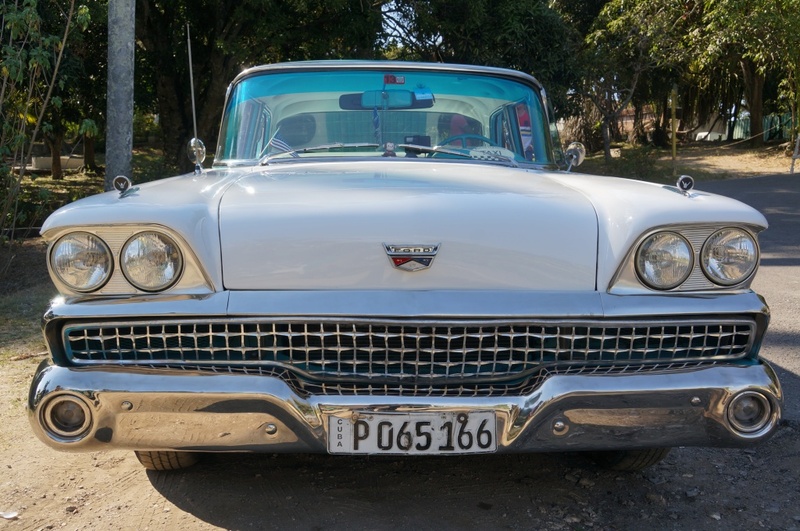 Havana is literally a rolling car museum with Oldsmobiles, Chevys, Fords, and Buicks that most car buffs in the US would pay tens of thousands of dollars to own, and they are used by Cubans as every day vehicles. It’s amazing to see a lineup of the vintage cars, waiting at an interection for the light to change, like it’s no big deal. This stuck-in-time feeling Cuba generated is the result of an over five decade-long grudge the country’s late leader, Fidel Castro, held against the United States. Though the island floats only 90 miles away from Key West, Florida, Castro placed a ban on foreign vehicle imports, making it almost impossible to buy a brand-new, foreign-made vehicle. He also made it difficult to buy new parts and fuel for the old-school American cars Cuba is known for. In a country where the average Cuban only makes $50/month, locals with an American vintage car have figured out that visitors to Cuba love stepping into their past by riding in an old American classic car. It’s a popular way for them to earn a living. 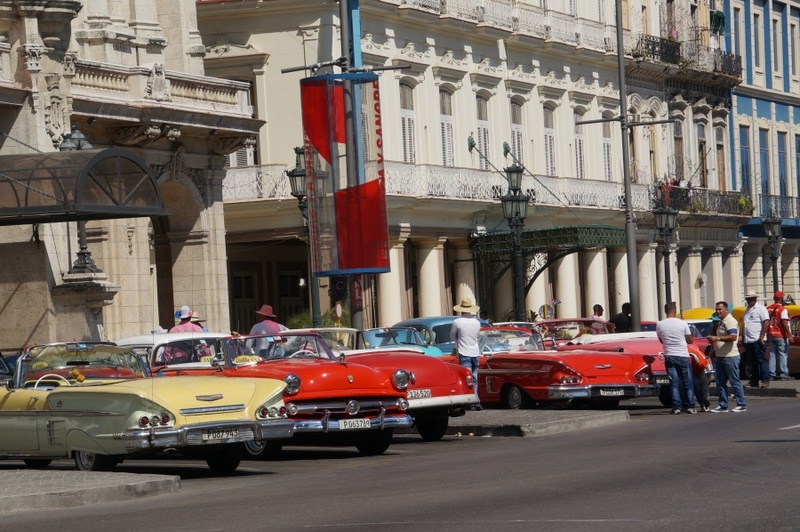 On several streets around Havana, you will find a lineup of vintage shiny, bright, American beauties, where you can negotiate for a ride. The street price is $50/hr to cruise around town. The girl who owned the car we rented said that her car originally belonged to her grandfather. Can you imagine having a car in your family for three generations? 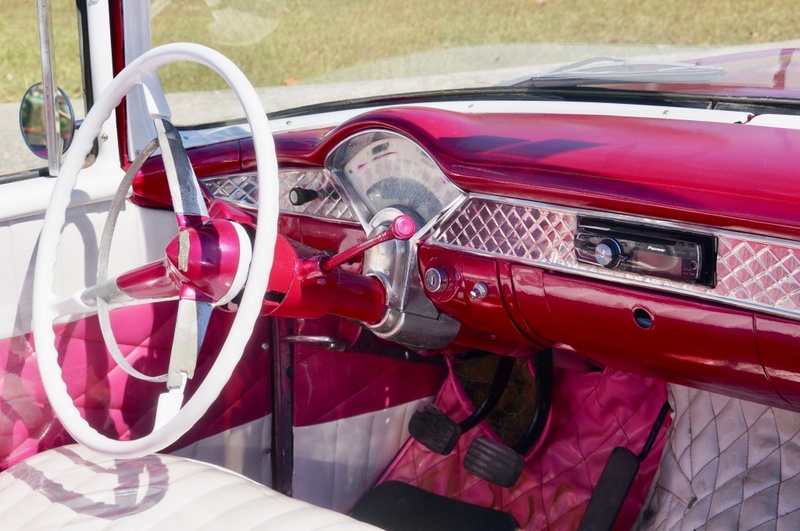 I’m not sure what happens to a bunch of grown adults who grew up in the ’60s when they get into these cars, but suddenly we were all 16 years old again and having the time of our lives. We drove through old town, and along the water’s edge with the wind in our hair, and the music blasting. It was the most fun we’ve had in a convertible in a long time. Looking good! Shades of the 60’s! In my past youth, I owned some of these cars. I am puzzled as to how these owners are able to obtain mechanical repair parts. Perhaps Cuban mechanics must invent a way to make a repair part. Me too! I don’t know how they have managed to keep those cars rolling along for 60 years without parts from the US. It’s truly amazing!